Over the last two days, we have been attending the Police Strategy Forum at Heythrop Park in Oxfordshire. 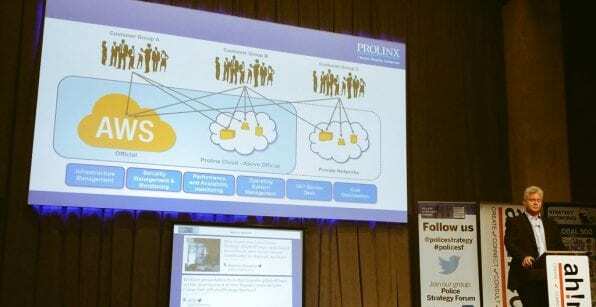 Our Business Solution Architect, Martin Edwards, presented to the group of senior UK Police professionals about our Secure Fully Managed Multi-Tiered Cloud, providing Official through to the higher security domains from a single vendor 24/7. He presented alongside Simone Hume of Amazon Web Services. We were delighted to be a part of the forum and enjoyed the discussions we had at the event. We look forward to working with the Blue Light Services and delivering innovative solutions which make a real difference.